The America’s Love of Food Cookbook contains 150 clear, simple, and often quick recipes designed to get you back in the kitchen and get your loved ones around the table. From breakfast to dessert, you’ll be inspired by the delicious variety offered here. Widen your dinner repertoire and spice up your main courses—from Ultimate Macaroni and Cheese to Smoky Dry Mole-Rubbed Pork Tenderloin, you’ll want to try them all. And if you’re wondering where to find smoked paprika or how to make a meringue reach new heights,the helpful tips peppered throughout the book will guide you through.Distributed in more than 500 newspapers nationwide, Relish magazine reaches more than 15 million readers each month. Relish celebrates America’s love of food with recipes from the melting pot of people, places, and traditions that make our food great. 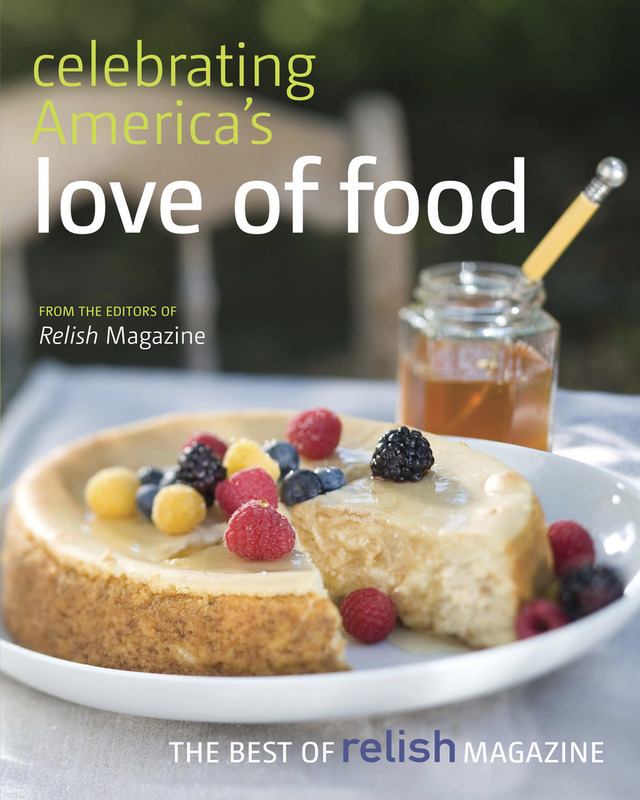 Tennessee-based Publishing Group of America publishes Relish magazine. Relish debuted in 2006 as the largest advertising-supported food magazine, with a circulation of 6.8 million via newspapers. This circulation will become 15 million as of January 2009. Publishing Group of America has offices in New York, Los Angeles, Chicago, Detroit, and Franklin, TN. Relish Editor-in-Chief Jill Melton has over 20 years of experience as a food editor, registered dietician, chef, and author. The former Editor in Chief of Cooking Smart, and Food Editorial Director of Cooking Light, Jill has a strong background in nutrition that has been the foundation of her career. She holds a BA in nutrition from Ohio State University and a master’s degree in public health nutrition from Case Western Reserve. She makes her home in Franklin, Tennessee. Candace Floyd is food editor of Relish and American Profile magazines, which are published by Publishing Group of America. She also co-edited the American Profile Hometown Cookbook, Hometown Recipes for the Holidays, and Hometown Get-Togethers. Nancy S. Hughes is a cookbook author and a recipe developer. With a culinary arts degree and more than 25 years of experience, she has been the director of a cooking school and a food consultant for some of the top companies in the nation.